in 2014 – Retro-futurism or a Blueprint for Same Old Power Structures? Screening of Powers of Ten by Charles and Ray Eames. The website is the first outcome of the one year-long multi layered project curated by Boaz Levin and Marianna Liosi that includes also itinerant events at MoBY (Bat Yam) and at Delfina Foundation (London), and which will culminate in an exhibition at Kunstraum Kreuzberg / Bethanien in November 2015. 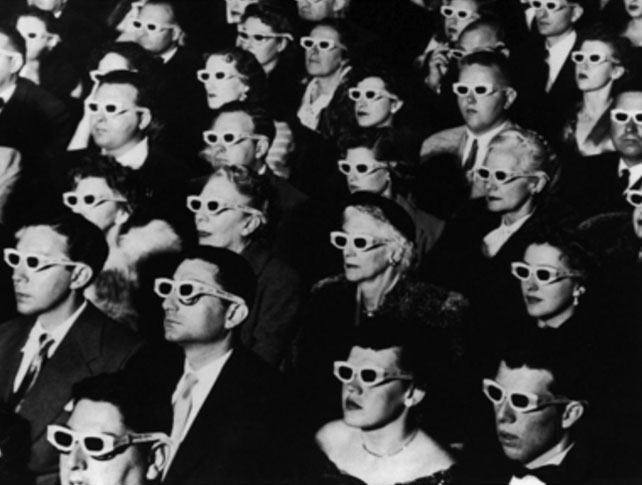 Regarding Spectatorship focuses upon the prevalent mode of vision and the engagement of the onlooker in relation to mediated political events, such as revolts and revolutions. The project critically explores the role played by mass and information media as well as by technological devices in the politics of representation. Conceived as an ongoing platform of discussion, the website aims to facilitate and stimulate a broad and interdisciplinary discourse around the questions of political spectatorship, offering a rich historical and theoretical context to the project. The website gathers together solicited essays and archival material by a wide range of intellectuals. The first round of contributors include Brian Holmes (media theorist, culture critic, activist), Vera Tollman (critic and writer), Quinn Slobodian (historian), Sohrab Mohebbi (curator and writer), Oleksiy Radinsky (writer and filmmaker) and Paolo Caffoni (editor and essayist). of verticality of the spectator’s view in the era of Google Earth. The reading will be accompanied by a screening of Powers of Ten, by Charles and Ray Eames, 1977, 10’. The same night PRAXES Center for Contemporary Art is inviting to their GRAND CLOSING PARTY to complete the fourth and final Cycle in Berlin, and forecasting the upcoming program in Bergen, Norway.